The Asian Century is often discussed in terms of China and India, as is fair due to the large population size and market capacity. However, far too often our government and business leaders have failed to realise that there are in many cases strong, established and emerging business opportunities in South East Asia, in markets where we have traded successfully for more than a century. With the Asian Century upon us, it is time we returned South East Asia as a market of focus and started to realise the real and tangible opportunities that are rapidly emerging. I will go so far as to suggest that many of you here this morning are in the latter category of knowledge about Asia, and indeed South East Asia – that is; there are things about South East Asia which you don’t know that you don’t know. This is not surprising, for our local market has for many years been the primary focus of many businesses in Australia. However, with a modestly growing and tight economy in the non-mining sector, there are now plenty of reasons to broaden our knowledge of our closest Asian Neighbours – South East Asia. South East Asia has a population of 600 million people, less than half the population of China or India, but more than 25 times larger than Australia. It comprises a dozen or so countries, and is united by ASEAN – The Association of South East Asian Nations. If ASEAN were a country it would be South Australia’s largest export market, with export trade for 2011/12 of $2.3Billion, surpassing export trade to China of $2.2Billion, and well in front of export trade to India of $759 million. This is an important distinction when our governments focus almost exclusively on China and India. South East Asia is where four of Australia’s seven Free Trade Agreements have been ratified, including; Singapore, South Australia’s 4th largest trading partner; Malaysia, SA’s 3rd largest export destination; and Thailand, SA’s 10th largest export destination. In addition to these bilateral FTA’s, Australia has ratified an FTA with ASEAN, and is currently in formal negotiations with Indonesia to achieve a Comprehensive Economic Partnership Agreement. Should this agreement be achieved as hoped over the next 12 months, it will be Australia’s most outstanding agreement, effectively opening the floodgates to trade and investment between Indonesia and Australia. Indonesia, with a population of over 250 million, provides perhaps the most outstanding growth market for South Australia. It has been a member of the WTO since 1995, and has sustained positive GDP growth trending at greater than 5% over the past 10 years, with 6.3% GDP growth forecast for 2013. This growth figure compares favourably with forecasts for both China (8%) and India (6.2%), and is being sustained by strong domestic demand. Indonesia is the forgotten market for Australia and South Australia. Export trade from South Australia is coming off a low base but has grown from $132 million export sales in 2009/10 to $603 million export sales in 2011/12. It is now SA’s 6th largest export market. That’s almost a five-fold increase in export sales. Indonesia is the powerhouse market of South East Asia, and with political and economic stability it is rapidly emerging as one of the most import economies in the world. Standard Chartered Bank has predicted the Indonesian economy will surpass the Australian economy in terms of size to become one of the top 10 global economies by 2020, and top 6 by 2030. There is a rapidly emerging middle and upper class developing across South East Asia, from Indonesia to Vietnam. Jakarta is indicative of this emerging new wealth in South East Asia, characterised by an eclectic mix of street vendors and luxury malls, Maserati’s and Scooters, Mercedes Benz taxis, and motorised rickshaws. An diverse mix of rich and poor, with a rapidly emerging middle class. It’s home to ALL of the big luxury brands. There are 3 Luis Vuitton Stores in Jakarta alone, and they sit side by side with Prada, Mont Blanc, and Cartier. These high-end retail stores are filled with buyers, local Indonesian buyers, paying global prices for genuine luxury clothing and accessories. Indonesian shopping malls are filled with local Indonesian consumers paying global prices for genuine luxury goods. To walk through the shopping malls of Jakarta is to be fully aware of the emergence of the middle class consumer in Indonesia, if not South East Asia. 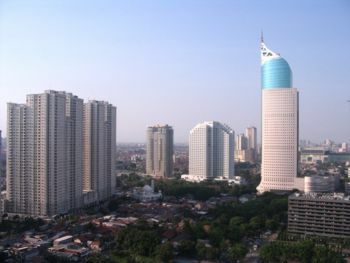 The Jakarta skyline is replete with high-rise office and residential apartments. The rapid and sustained economic growth in Indonesia has seen the population of Jakarta swell to upwards of 25 million people during the week, and the city sprawl out and absorb the surrounding manufacturing cities of Bogor and Cikarang. This growth has pushed up the price of quality office and residential accommodation in Jakarta. Colliers International has forecast office vacancy rates in Jakarta of less than 2% for 2013. While Jones Lang Lassalle have forecast residential rental occupancy rates at between 85-90%. This demand for high quality accommodation in Jakarta has seen residential rental agreements requiring between 2-5 years rent upfront to secure an apartment. This picture of Jakarta, is replicated across South East Asia, in Singapore, where admittedly there is a lack of the ramshackle housing; Kuala Lumpur where the Petronas Towers take centre stage, through to Bangkok, Hanoi and Manila. The middle class is arriving fast across the region and has started to demand products and services, the very products and services that South Australia can supply. I paint this emerging picture of Indonesia and South East Asia to demonstrate that our closest Asian neighbours have developed the capacity to pay, and more and more people are joining the middle class. Food Security – There is increasing demand for food, agricultural products, and beverages. This demand has resulted in SA food companies finding new markets in South East Asia. Indonesia for example was South Australia’s largest wheat export market in 2011/12, surpassing even China. Mining, Oil and Gas – South East Asia is a centre for mining, oil and gas exploration and drilling, benefiting from the same mining boom we have witnessed in Australia. The core minerals being exploited in Indonesia, East Timor, Malaysia and Myanmar include Thermal Coal, Oil, LNG, Coal Seem Gas, Copper, Gold and Silver. The growth in the mining sector in markets such as Indonesia, East Timor, Myanmar and Malaysia, have provided opportunities for Australian engineering, design, and construction companies to help develop the infrastructure needs of these markets. East Timor has for example upwards of $4 Billion in infrastructure projects in the pipeline related to the growth in the oil and gas industry. Capacity Building – Constraints in terms of skills have seen all governments across the region talk about the need to up-skill their workforce. There is a need for higher educated workforce throughout the region, in both vocational and higher education. Middle class families are looking to education providers in Australia to provide this skilled advantage to their children. As a result, more students from South East Asia, including Indonesia, will be seeking to come to Australia to undertake vocational and higher education studies in the coming years. These students often come from wealthy middle class families and seek accommodation close to the universities in Australia. Tourism Infrastructure – Tourism is one of the traditional economic opportunities for the region, with resorts from Bali in Indonesia, through to Phuket in Thailand. However, the climactic conditions of the region mean that tourist infrastructure requires constant redevelopment, including hotels, villas, roads, marinas and airports. There are also new tourism sites being developed across South East Asia, from East Timor to Vietnam. South Australian property developers and urban planners are already looking at how they can enter this market. The key message I would like to impress upon South Australian business is not to ignore the huge market opportunities in South East Asia. Our business leaders should be embracing the many emerging opportunities. Indonesia and South East Asia, provide the greatest opportunity for South Australian businesses to take advantage of the rapidly growing demand for Australian commodities, products, and services. South Australian business should be establishing strategies to leverage these very opportunities. 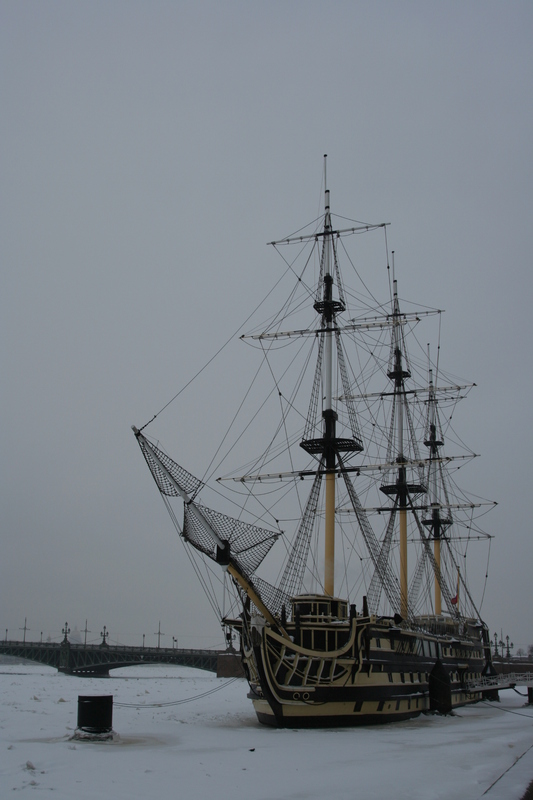 Use the "bridge" to move accross great divides at the negotiation table. Indonesia is an emerging Asian market which is attracting increasing investment from Australian and other western companies. Indonesia and its business environment can be confusing, daunting and challenging, but in many cases this is due to a lack of understanding of the Indonesian management behaviours that influence business relationships. If Australian companies want to succeed in this emerging Asian market, then they will need to develop knowledge and awareness of the Indonesian business culture, much the same way as Australian companies have succeeded in China now that there is a growing understanding of the Chinese business culture and etiquette. The latest research from UniSA has identified the use of third party agents as one of the important Indonesian management practices that influence business. These third party agents are referred to in Javanese (an Indonesian dialect commonly used amongst the business and government elite) as Parantara or ‘the bridge’, and acts as a conduit between the negotiating parties behind face to face negotiations, where issues of conflict can be raised without disrupting the harmony of the negotiation. Maintenance of harmonious relationships between negotiation parties is critical to successful business engagements in Indonesia, and is grounded in the Javanese court traditions established prior to Dutch colonial rule. In Indonesia today, there is a renewed focus upon an independent, national identity, free from the western influence of Dutch colonialism. This nationalistic identification has seen many of the Javanese cultural behaviours re-emerge in the postcolonial period in Indonesia, and this has been driven by the political, governmental, and business elites which in many cases identify themselves with the Javanese culture. The Parantara is characteristic of a postcolonial Indonesia that has re-discovered the cultural norms of the pre-colonial Javanese court structure that favoured relationships, networks, and a system of favours and rewards. Utilising agents to further business relationships and aid negotiations is not a uniquely Indonesian experience, as it is common experience in other parts of Asia, in particular China with the use of the Zhongjian Ren or the Intermediary. However, there are distinctive differences between the Zhongjian Ren and the Parantara in their level of involvement in the negotiated deal. The Zhongjian Ren will often be a part of the deal, as a partner, stakeholder or direct benefactor of any business agreement. Whereas the Parantara is bounded by the cultural traditions of the Javanese court system that places importance upon the network. As a consequence the Parantara is more of a broker, who operates in the background, for the betterment of both parties and who is rewarded for success. Understanding Indonesian management behaviours is vital if Australian companies are to develop successful Indonesian investments in the coming years. So if your company is looking to invest in the Indonesian market, then you would be best advised to find a good agent who can help navigate a harmonious relationship and build a strong deal. Fore without a good agent, you may find yourself in a sea of conflict, and on the path to investment failure. Is Indonesia Suffering an Identity Crisis? Indonesia is a potential tourism powerhouse in South East Asia, and yet it does not tell this story successfully to the broader world. A country of contrast, and a “paradise” which has captured the imagination of many foreign visitor in the past 400 years, Indonesia is however not just a land of beaches, palm trees, batik and bintang, it is much, much more. Guide book to Indonesia will tell you of the glorious beaches in Bali, and some of the cultural treasures that exist in small villages in far flung places. Travel Agents will tell you of the fantastic resort accommodation and luxury that can be experienced in Bali and possibly Lombok. Newspapers in the western world will tell you of the imminent threat of terrorism and the extreme fundamentalist Islamic views that are a threat to your safety. The marketing of Indonesia doesn’t add to this impression, with images of Bali beaches, batik shirts and cultural trinkets often at the forefront of the advertising and marketing sales pitch for Indonesia. Indonesia has much more to sell, and in broader locations than the traditional tourist hub of Bali. Is this the image that Indonesia wants to portray to the world? The answer to this question is of course yes and no. The importance of tourism to Indonesia cannot be underestimated, but at present it is concentrated upon one area – Bali. In 2010 there will be more than 600,000 Australian Tourists travel to Bali for a holiday which will last for an average 10 days. The number of Australian tourists travelling to Bali are at an all-time high, and this is despite the Australian Government Travel Warnings , which I have discussed in a previous post (The Politics of Travel Warnings: http://wp.me/pS6DN-4h). But despite these huge numbers, Indonesia is missing a great tourism opportunity. Indonesian Culture is heavily influenced by Javanese Culture, and Javanese Culture is probably best exemplified by Yogyakarta. 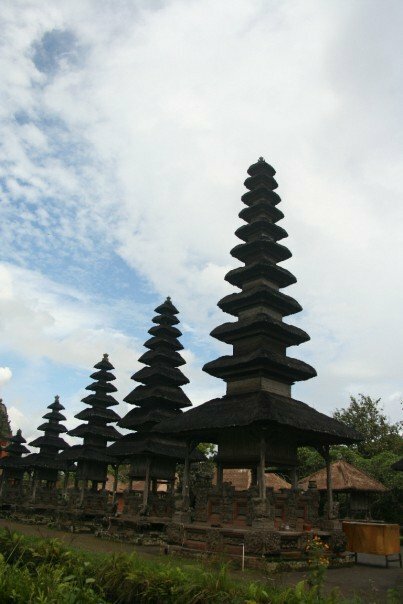 This is Central Javanese heartland and is surrounded by highly significant cultural and archaeological sites, palaces and temples. Yogyakarta is to Indonesia, what Siem Reap and Angkor is to Cambodia in a Cultural sense….but it does not have the same profile, nor does it have the substantial tourist infrastructure to bring in the substantial tourism investment. Yogyakarta has two World Heritage Sites within an hours’ drive from the centre of the city: Borobudur, which is an 8th Century Buddhist temple complex, and Prambanan an 8th Century Hindu and Buddhist temple complex. In addition to these temples are another 3-5 other important Hindu and Buddhist temples in various stages of disrepair, and rebuild. Beyond Yogyakarta to the east of Surakarta (Solo), are the last two Hindu temples of the Majahpit Kingdom in Java: Candi Ceto and Candi Sukuh. These two temples are an easy day trip from Yogyakarta. 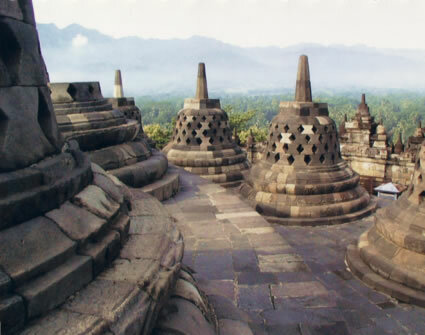 These temples are significant to the history of south east asia and Indonesia, yet there are relatively few tourists who visit these important sites. 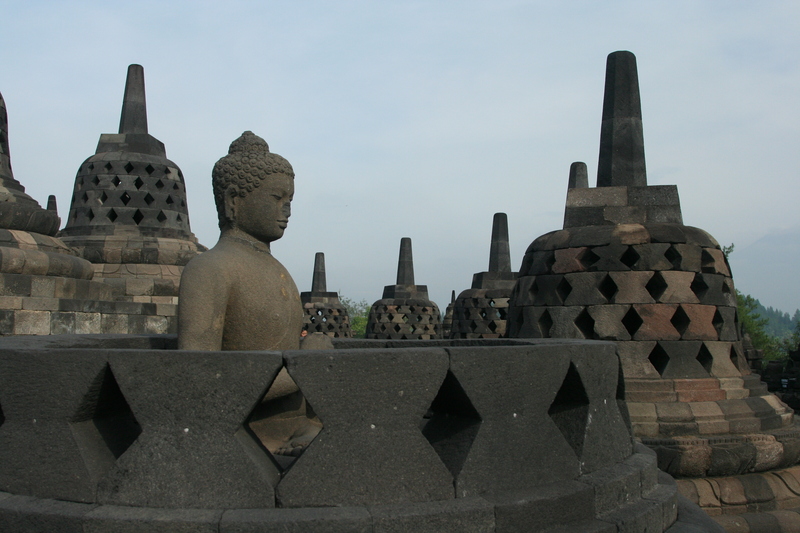 How many people outside of Indonesia are truly conscious of these important cultural sites? In addition to the tourism opportunities in Yogyakarta there are great opportunities for expanding eco-tourism in Indonesia, through jungle tours, or scuba diving tourist resorts. Scuba diving resorts in Egypt, Jordan, Malaysia and Thailand all successfully promote scuba diving resorts and subsequently bring in substantial tourist money which is spent in the local economies an especially in remote communities. When was the last time you saw an advertisement for Indonesia’s great coral reefs and the scuba diving opportunities? The final piece in this tourism puzzle is Jakarta. It has a relatively bad reputation compared to other cities in South East Asia, but this reputation is unfounded to a large extent. 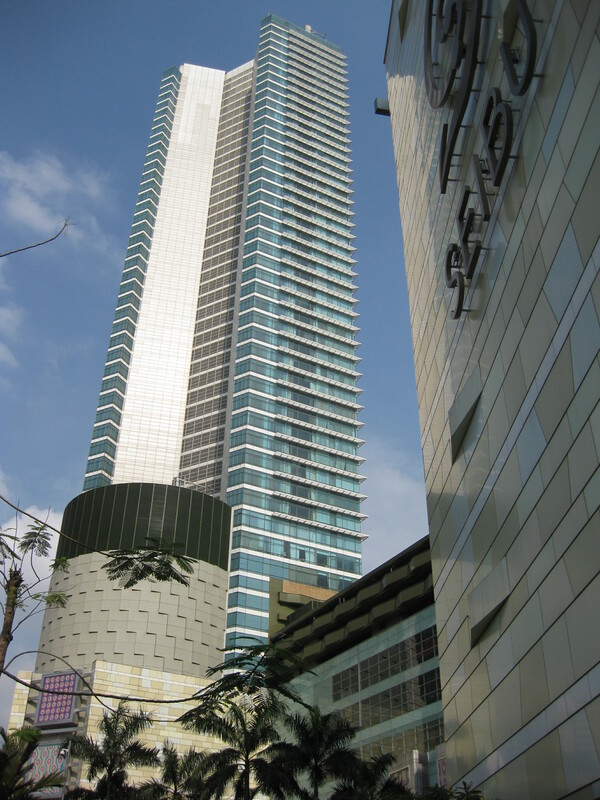 Jakarta is a happening city that is vibrant, and exclusive and a shopping paradise. 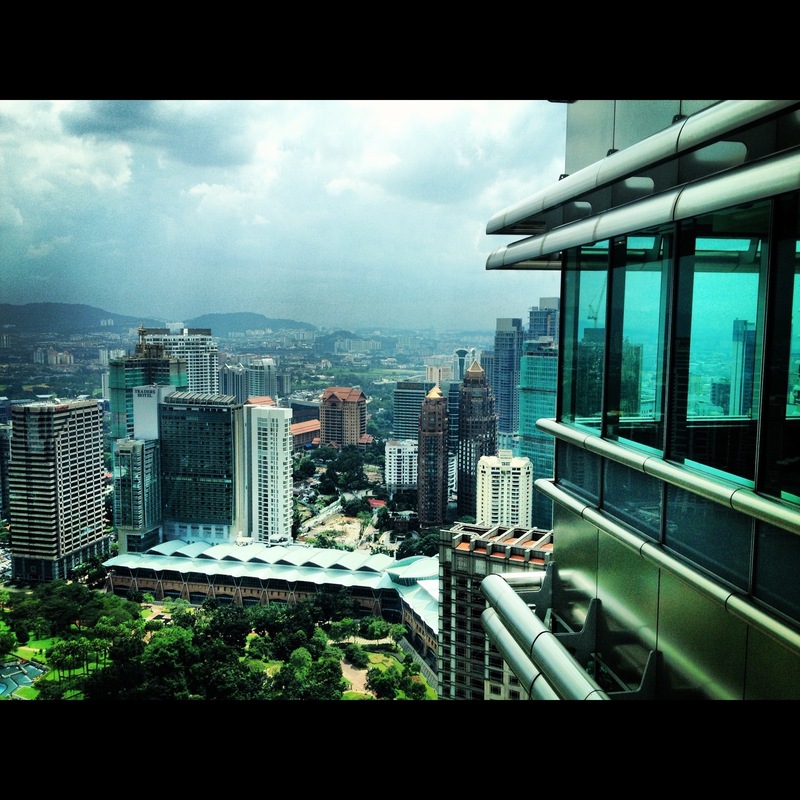 Every time I see an advertisement for Malaysia : Truly Asia, It reminds me of Jakarta. Jakarta is a city full of upmarket shopping malls, exclusive hotels, and clean streets. At night the trendy people all come out and go to the best restaurants, people drive around in Mercedes, and wear the latest European designer clothes. Indonesia is truly a modern emerging economy and Jakarta is the most advanced and modern city in its crown. The Key to Indonesia’s future success is for its identity to be clarified to allow the world to discover the tourism wonder of opportunities that exist beyond Bali, Batik and Bintang. Get the identity right and the economic advantages will flow. Indonesia has a long history of interaction with China and although the Ethnic Chinese have been trading in Indonesia for more than 1000 years, most of the present day Chinese Indonesian population started to arrive in Indonesia during the Dutch colonial period during the 19th Century. Chinese Diaspora communities have brought with them cultures and traditions from China, and as a consequence the styles of behaviour common in China will be transferable to other countries and cultures within the broader Asian region. This assumption is not so straightforward in the Indonesian context due to the recent and historical conflict, criticism and victimisation of the ethnic Chinese-Indonesians by the ethic Indonesians. Entrenched victimisation and discrimination has even been initiated and conducted by various Indonesian governments over the past 60 years since achieving Independence from Dutch colonial rule. Chinese identity in Indonesia has been eroded over time to the point where it was regulated by law that family names be “Indonesianised” and so it is now not possible to identify a person of Chinese heritage by their name. There has consequently been part assimilation in recent generations of ethnic Chinese Indonesian with the local ethnic Indonesian, and so it is not uncommon to find a person with a Chinese father and an ethnic Indonesian mother, or vice versa. 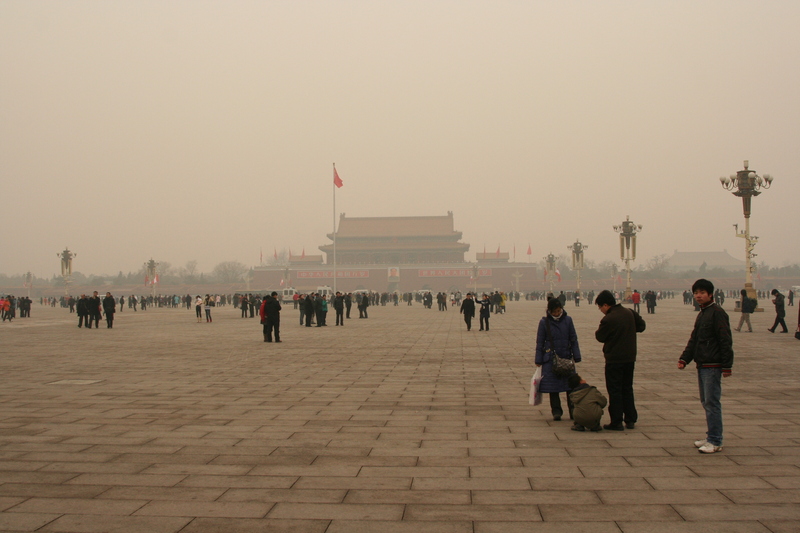 The importance of Guanxi or ‘Social Capital’ has long been acknowledged in China, and similar issues of trust and social capital are equally important in other parts of Asia (see my article on Guanxi: http://wp.me/pS6DN-37). This principle is not solely related to managing your professional network, but additionally maintaining a strong and solid reputation within the network. As I wrote in a previous article (Zhongjian Ren: http://wp.me/pS6DN-3e) the importance of Zhongjian Ren or ‘The Intermediary’ in the Chinese business context, is a tried and tested method of transferring Guanxi and social capital from one person to another through introduction to members of a network. In practical sense using Zhongjian Ren is the principle of guaranteeing the quality of business partner, and putting one’s own Guanxi up as a guarantee of their good standing. The Zhongjian Ren in many cases will continue to play a part in the deal as a formal partner, until a sufficient level of Guanxi has been established. 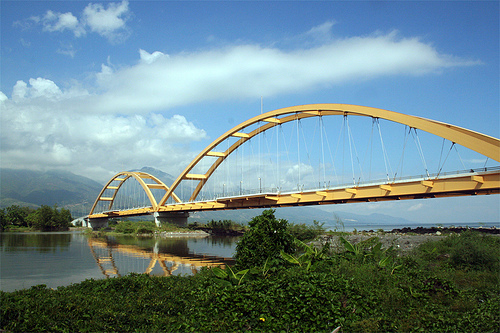 Negotiators in Indonesian adopt a similar version of the Zhongjian Ren principle, however in Indonesia it is referred to as the Parantara or ‘The Bridge’. It is very important to utilise Parantara if a business negotiation is to be successful in Indonesia, and has been described as fundamental to conducting business the Indonesian way. The role of the Parantara changes during the many phases of the negotiation process. During the Pre-negotiation phase, the Parantara is used to sound out potential partners and make appropriate approaches and subsequent introductions on behalf one side. The Parantara is unseen during face to face negotiation, and in the early stage builds the bridge (metaphorically speaking of course) over which the negotiating parties can meet. An important distinction between the Chinese Zhongjian Ren, and Indonesian Parantara is that in the Indonesian business context the Parantara acts on behalf of both parties to assist in creating a successful and lasting outcome for both the negotiating parties. As the negotiation process progresses from pre-negotiation to face-to-face negotiation there are often issues that need to be resolved in order for the negotiation to continue. During the negotiation process in Indonesia it is imperative to maintain harmony, which often means that issues of conflict are not raised face to face in the formal negotiation. To raise issues that may cause conflict will affect the harmony of the relationship and would not be good for the long-term success of the negotiation or the future partnership. It is therefore necessary to utilise the Parantara to conduct informal negotiations to overcome the problem. The Parantara rarely forms part of the deal or partnership itself, and because of this separation from the negotiated deal the Parantara is able to maintain neutrality between the negotiating parties. Maintaining this neutrality is the key to the success of Parantara in forging successful business negotiations in Indonesia. So when you conduct business in Indonesia manage your professional networks by finding yourself a trusted Parantara who can help maintain the harmony in the relationship while you conduct your negotiations. Those experienced in conducting business in North Asia will tell you that relationship building is paramount to a successful business outcome. Relationship building in Asia is often in direct contrast to standard business practices expected in Anglo-Western cultures such as North America, Australia and the UK. These business practices will affect the way negotiations are conducted, and so when you are negotiating in Asia it is important to consider the differences from your standard negotiation protocols. The Anglo-Western negotiation protocol is generally more direct and task focussed, ensuring that negotiation discussions are conducted primarily in a formal context, building relationship is not really required outside of the functionality of the deal. In North Asia, such as China, Japan and South Korea this direct task orientated approach is at odds with the accepted relationship building process which helps to build trust or Guanxi (see my recent post on Guanxi: http://wp.me/pS6DN-37). Without trust, there is no relationship, and consequently no successful negotiation outcome. In Indonesia, you would think that because it is part of “Asia” that it is safe to assume that relationship building would also be of great importance to the successful negotiation outcome. However past research has found that Indonesia exhibits strong performance focus, suggesting that negotiations are more task orientated and potentially less focussed upon relationship building. Recent research investigating Indonesian negotiation behaviour has however, identified elements of both relationship building and also task orientation which would suggest that both assumptions were correct in an Indonesian context, and that relationship building during the negotiation process in Indonesia is unique in Asia. This research describes the negotiation process as starting with a task orientation and moving towards a relationship building orientation, but what does that mean? Initial negotiation meetings are often conducted with technocrats and lower level managers who discuss the specific technical requirements of the International negotiating partner, so discuss the task at hand ie. Task Orientation. This task orientated negotiation component is similar to the negotiation protocols expected in Anglo-Western cultures, and is equally compatible with the performance orientated findings of past studies. However, this task orientated component of the negotiation does not seem to be vitally important from an Indonesian perspective, and appears to be conducted purely to appease “western” expectations. This may be due to many senior Indonesian managers being university educated in western countries such as US, UK and Australia, and so learning Anglo-Western negotiation norms and expectations. Indonesian negotiators use this initial task orientated discussion as a way to maintain harmony in the negotiations, by giving western negotiators what they want….ie. Functionality and task orientated discussion. The Indonesian negotiators allow the negotiations to run to this familiar western format, before the negotiations return to familiar and more comfortable ground for the Indonesian negotiator. How is this done? 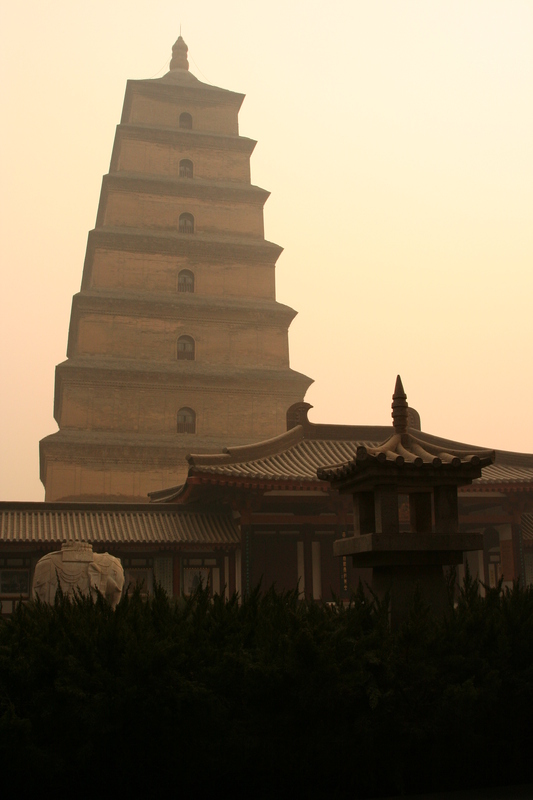 In an earlier article I discussed the importance of Guanxi to your likely business success in China (http://wp.me/pS6DN-37). Building your Guanxi and social capital is critical. However, unfortunately it is not possible to instantly create Guanxi, which poses a problem if you are new to the business game in China. But the Chinese have a way of navigating around this issue of building Guanxi. As I mentioned in the previous article, it is best to think of Guanxi in terms of a bank deposit, and we all know the adage that you need money to make money…..well we can probably say the same thing for Guanxi: you need Guanxi to make Guanxi. So how do you build Guanxi if you need Guanxi in the first place? Just as in a normal business setting, you can go to the bank and borrow some money to invest, and eventually make more money. With Guanxi it is the same…..essentially you can borrow someone else’s Guanxi in the short and medium term until your own Guanxi has had time to become established. Instead of borrowing from the Guanxi from a bank, you will borrow the Guanxi from the Zhongjian Ren or ‘the Intermediary’. There is a strong and traditional importance of the Zhongjian Ren or ‘The Intermediary’ in the Chinese business context, and this is a tried and tested method of transferring Guanxi and social capital from one person to another. In a practical sense using Zhongjian Ren is the principle of guaranteeing the quality of a business partner, and putting one’s own Guanxi up as a guarantee of their good standing. The Zhongjian Ren in many cases will continue to play a part in the deal as a formal partner, until a sufficient level of Guanxi has been established. Why does this work? and why Guanxi be transferrable if it is so important? This is why Guanxi is transferrable, and how it works. It is the equivalent of a bank guarantee, but instead related to respect, trust and social capital. So if you need to build your Guanxi in order to get a deal done in China, then look for someone to act as the Zhongjian Ren…..Just remember that your behaviour and the deal you strike will reflect upon on the person who has made the introduction. Respect Guanxi and the Zhongjian Ren and you will be well on your way to business success in China. If you dont prepare correctly for new international markets, you could get caught out. In recent months I have been continually surprised by the lack of preparation of some companies who are looking to invest in overseas markets. These companies are large and small, some have experience in international markets some are newcomers to the international scene, but surprisingly they all seem to be prepared to be “unprepared” when it comes to entering a new international market. What do I mean by being unprepared? The first and most obvious example of not being prepared for a new international market, is when there is a clear expectation that operating in a foreign market will be easy, quick and not much more complicated than operating in the companies traditional domestic market. I have had honest and frank discussions with some senior executives about their expectations for success in markets such as China and Indonesia. These executives have described to me their expected timeline for getting deals done in relatively short terms: from weeks – 3 months to get new agreements signed and shipments on their way. Now of course this is indeed possible if you are just wanting to go to a new market and purchase an off the shelf product, but it is a different story if you are looking to sell your product into these new international markets. It seems at times that these executives forget or choose to ignore their experiences in their home market. Anyone who has had the experience of promoting a product to one of the big retailers in Australia, US or UK will be able to tell you that it is a longterm proposition to get your product accepted onto the shelves, and it could take years for the product to be accepted permanently. Why would it be any easier in new international markets like China or Indonesia? The other major lack of preparedness is with understanding the business culture of the new international market you are entering. What works in your home market, will not necessarily work in a new international market, particularly one from a different cultural background such as Asia. If you are to succeed in this new market you need to be aware of the business etiquette. What are the traditions? what is the expectation of time? are there any cultural issues which one should be aware? In Asia, for example it is critical to be aware of the importance of Guanxi, and Face. Relationship building is equally critical and how long will you need to get this relationship built? If as a company you are going to seriously be prepared for a new international market then you need to further consider who you are going send to manage the new investment. Choosing the right type of manager is important, someone who is going to have the cultural awareness to survive the challenges, but it is not just the manager at the coal face who is important. Any company moving into new international markets really needs to build a support team that can help that manager. Do you have team members who have the language skills in these new markets? Cultural skills? Technical skills? and negotiation skills? So my tip before you decide to move into a new international market is….Prepare your company, prepare your team and prepare your expectations. If you prepare for the new market then you will be well on the way to achieving not just success but longterm sustainable success.